Ninety one years ago from this year of 2013, the arrival of electricity came to Union, West Virginia. It arrived on Thursday night , April 13, 1922. It was said that people were dancing in the streets. Looking south along the tree lined Main Street of Union, electricity had arrived in the town and showed the presence of the utility poles. The only building clearly visible in the picture above is now the home to The Monroe Watchman Office. There is no doubt that the electricity supplied more light than the ancient oil street lamps that had been in use for a long time. 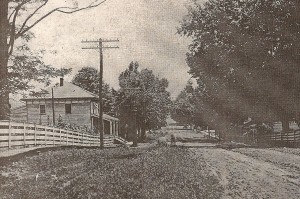 The movement to bring power to the area had begun a year before in 1921 to form a connection with the Virginia Western Power Company at a point near Fort Spring. The Delco system would provide power for the merchants, lights for the town and limited power for other uses, but would not go beyond the town of Union. Things were proceeding slowly and at times articles appeared in the newspaper pushing the project by appealing to the women. Until the arrival of electricity, many of the homes were using acetylene gas generators, and of course oil lamps. The town’s gas street lamps had to be lit one-at-a-time by hand, and it was someone’s task to do so each evening at dusk. One article pointed out that the wiring of a house could be done for $30-$40 dollars while an acetylene generator would cost $200-$300 dollars and even after it was installed it required maintenance and actually cost more to operate and give less light than the electricity. 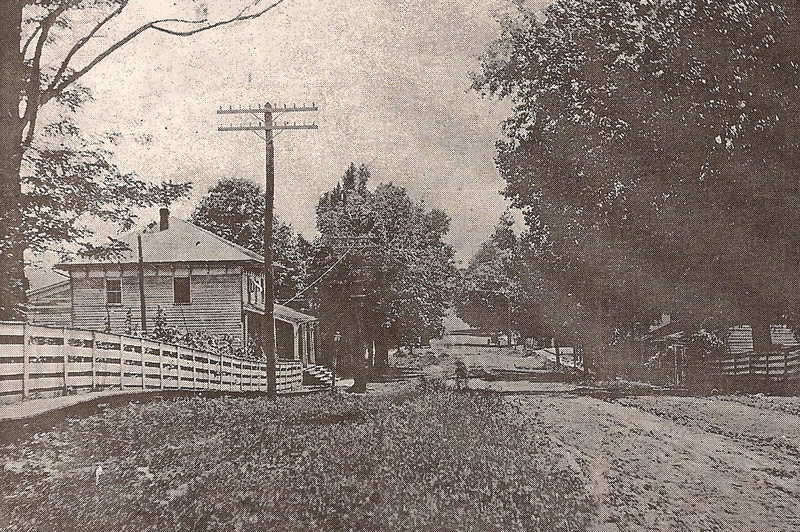 On October 1921, wire was being stretched and poles were being set in the town of Union, and people were urged to proceed with house wiring so that when the current was available, the power company would have enough customers to keep the individual cost down. The final stages were slowed by winter and a few difficult times with obtaining right-of-way, but finally the day had arrived and the lights came on in the town of Union.